Climate change is such a large and sprawling problem — there are so many forces involved, so many decision makers at so many levels — that solving it can seem hopelessly complex. There are so many options available to policymakers, each with their own fierce constituencies. Where to begin? Which clean-energy policies actually work? That is the question Hal Harvey, long-time energy analyst and CEO of the energy policy firm Energy Innovation, set out to answer with a new tool. 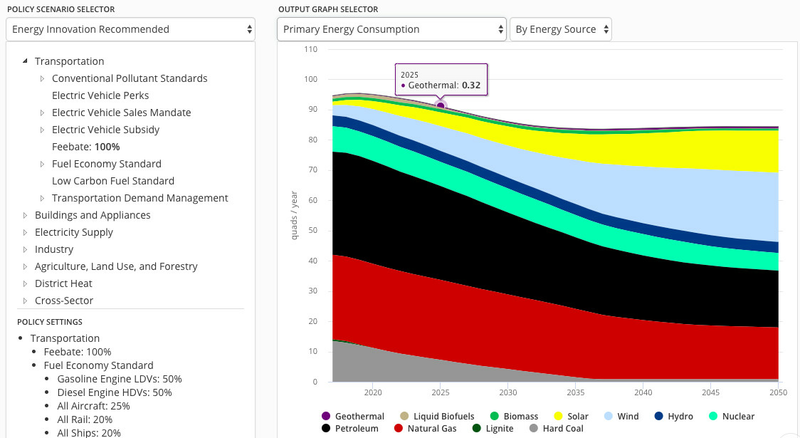 The tool is the Energy Policy Simulator, which allows anyone to choose a package of energy policies and immediately see the impact on carbon emissions and other pollutants. (It’s like a video game for energy nerds.) It’s based on a model that attempts to replicate the physical economy, with detailed information about real-world assets. The results are oddly heartening, or at least clarifying. For instance: The top 20 carbon emitting countries in the world are responsible for 80 percent of global emissions. Just seven countries emit more than a gigaton annually. It’s daunting to lure the world’s nearly 200 countries into a globally unanimous agreement, like the United Nations Framework Convention on Climate Change (UNFCCC) is forever attempting to do. (Witness the heroic work necessary to secure the Paris climate agreement, which isn’t even legally binding.) But 20 countries? Surely the world can get decent policies in place in 20 countries. 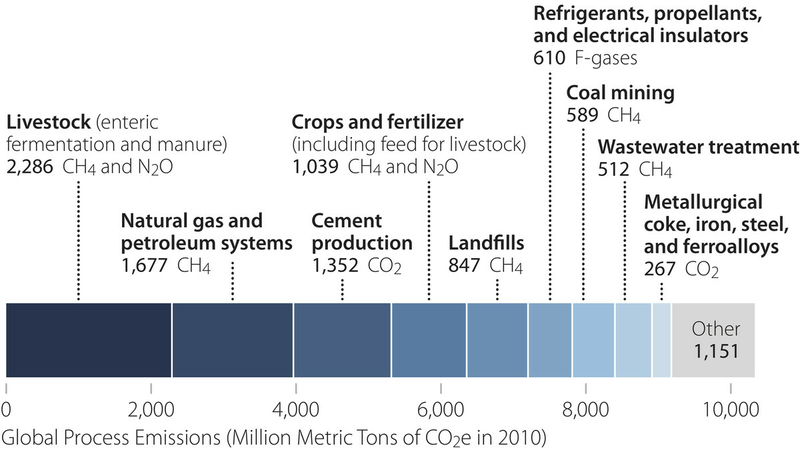 Just as they are geographically clustered, emissions are also clustered in a relatively small number of sectors. Putting land use aside (it’s important, but the book focuses on energy policy), that’s five sectors. Well, technically it’s four sectors and one cross-sectoral policy, namely carbon pricing. 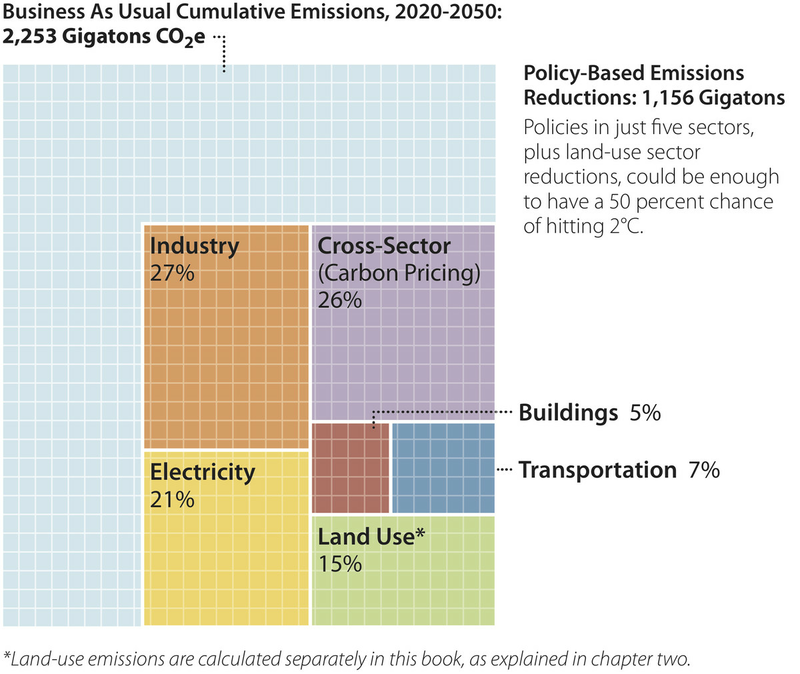 Four sectors + carbon pricing. That’s manageable! 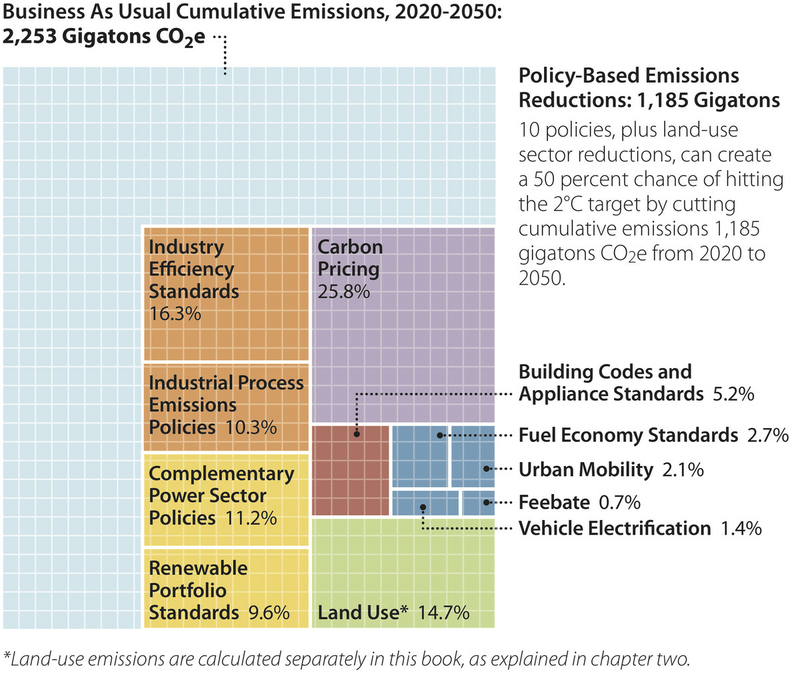 And it turns out, within those four sectors (+ carbon pricing), a total of just 10 types of policies can do the job. Policymakers at every level — perhaps even some of those newly elected Democratic governors — will find the book a practical help. It tailors recommendations to different geographies and levels of economic development and gets into nitty-gritty design issues for each policy. 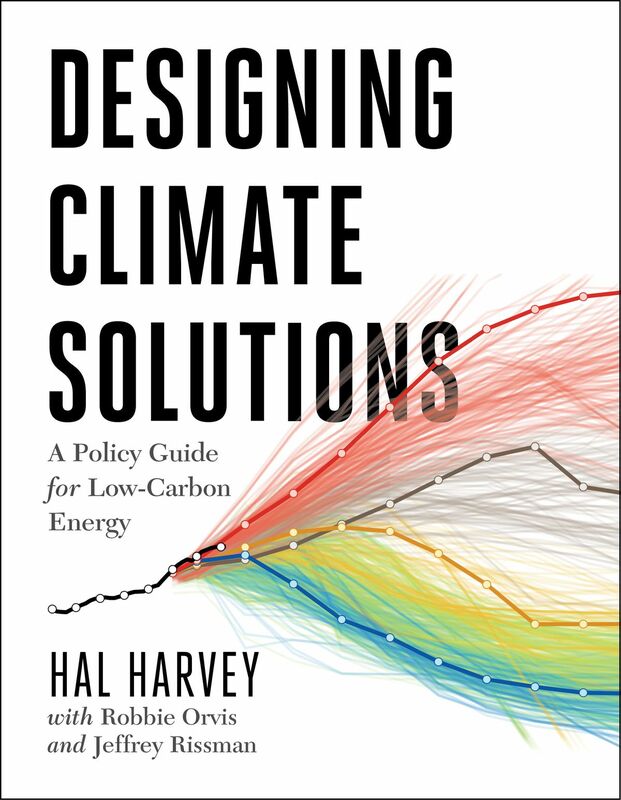 I chatted with Harvey by phone about policy design, the role of carbon pricing, and the kind of R&D America really needs, among other things. Our conversation has been edited for length and clarity. Tell us a little bit about the tool you created to compare policies. We’ve developed this [Energy Policy Simulator] now for eight countries, which together represent more than half the world’s carbon emissions. The model is essentially a replica of the physical economy. For example, it knows how many cars there are in the United States. It knows how many miles they drive and what kind of fuel they use, and therefore the carbon emissions they emit. It knows how many retire each year, and what they’re replaced with. By keeping track of all those cars over all those years, we can determine quite precisely what effect an incremental fuel efficiency standard will have. That’s just one of many options in the transportation sphere. You could have a gas tax, congestion pricing, feebates, or a carbon tax with an EV rebate. We measure well over 50 different policies. The upshot is, the user can take any one of these policies and slide it up and down from zero to very strong and instantly see the effects on CO2, on a dozen other pollutants, and on cash flow. One thing you stress in the book is timing. It’s important to get policies in place early, so technologies have time to develop. There’s this naïve idea that the way technology works is, people sit in labs and think and worry and work on an idea, and then it pops into the world and becomes ubiquitous. The reality is, a very large fraction of progress on technologies happens through deployment. One of the things we try to do is unpack the learning curves. So there’s stuff that’s crazy out there and requires science — that might be algae, or carbon sequestration, or advanced nuclear power. Then there’s stuff that’s pretty cool, seems to work, but requires a lot of engineering to get there — the solar field went through this phase during the late ’70s to the mid ’80s. And then there’s the last stage on that learning curve, which comes from deployment, learning by doing. For that, you need very large volumes of sales, continued over time. The dramatic price reductions in wind and solar — and more recently in offshore wind — reflect this last part of the learning curve. Technology learning curves and policy — a representative chart. But this, somewhat ironically, is what Bill Gates doesn’t get. He thinks we need breakthroughs, when in fact the biggest breakthroughs we’ve had have been by incrementally making, e.g., batteries cheaper, cheaper, cheaper. We’re doing it with LEDs, by increasing scale, by deploying and deploying. Throughout the book, you focus on policy design. It’s not enough to pass these policies, they have to work right. You extract a few design principles. Give me an example of one of those principles. I’ll start with performance standards. Performance standards — by that I mean C02-per-kWh, or fractions of renewables on the grid, or miles per gallon per car, or minimum energy standards for your building codes — have been the killer app in energy policy. Performance standards have completely transformed refrigerators. They have a bad rep from an age-old and completely upside-down debate about “command-and-control” policy. But we use performance standards all the time, and they work really well. Our buildings don’t burn down very much; they used to burn down all the time. Our meat’s not poisoned; it used to be poisoned, or you couldn’t tell. And so forth. If you just tell somebody, this is the minimum performance required, guess what? Engineers are really good at meeting it cost-effectively. 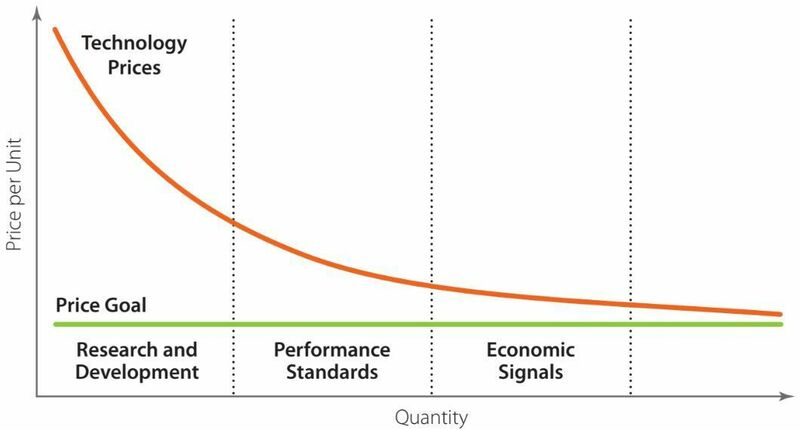 When you design performance standards, there are a few characteristics that make them work really well. The first, which I emphasize again and again, is continuous improvement. Don’t set a quantitative target, set a rate of improvement. It’s the gift that keeps on giving. It tells manufacturers, you gotta get better and better and better. It helps them structure their R&D. Maybe most importantly, it uses political bandwidth once and delivers the goods forever. 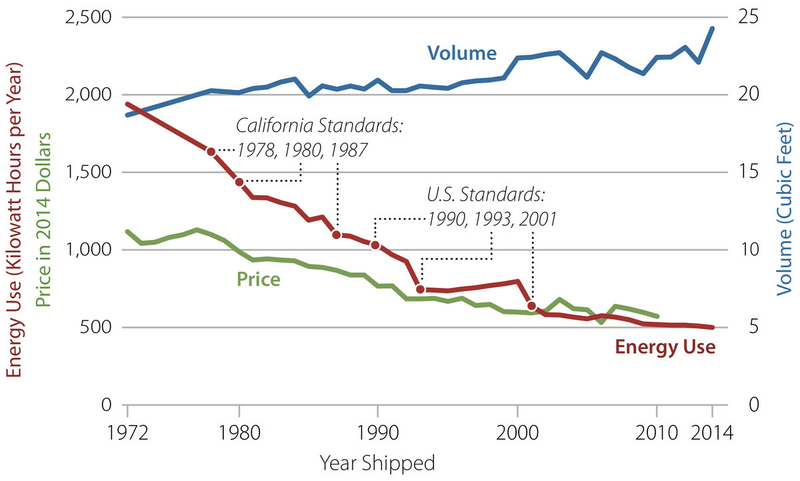 California’s building code gets tighter every three years. It only took one law, in the 1970s, to make that happen. That bill, Title 24, was signed when Jerry Brown was the youngest governor in California’s history. He’s now the oldest governor in California’s history. In between, Republicans and Democrats alike saw the building code get stronger and stronger. It didn’t require cashing in political capital, going back to the legislature, debating it — it just happens. I’ll give a counter-example. [President] Gerald Ford doubled fuel efficiency in cars between 1975 and 1985 with a fuel efficiency standard. And then we went to sleep for 25 years. For 25 years, we didn’t increase fuel efficiency. We took all the technological improvement that was coming down the pike and devoted it to mass and power — cars doubled power and increased weight by 40 percent. We pay two kinds of tax for that: first, enormous amounts of carbon dioxide; second, if we had had continuous improvement, we would have saved a trillion dollars that we sent to countries that hate us. And we let our auto companies become uncompetitive, because the Germans and the Japanese were improving all the while. So we have the auto companies go bankrupt — two out of the three. Again, if Gerald Ford had simply said “4 percent a year” instead of “26 miles per gallon,” we would have avoided all that. These days, people across the political spectrum are talking about carbon pricing. How does it fit into the larger effort? The thing about carbon pricing is, it’s helpful, but it’s not dispositive. There are a number of sectors that are impervious to a carbon price, or close to impervious. Also, it has to be a real number. Twenty bucks a ton doesn’t affect much at all. What is the lowest real number? First of all, it’s okay to start at a low number, as long as you have a steady ramp — it’s back to continuous improvement. That’s actually a smart way to do it, so you don’t shock the system. I think you need to push it to 50 bucks a ton — which is what’s going to happen in Canada over the next four years — in order to have a meaningful impact on carbon emissions. A carbon price is good at reaching (this is just gonna roll off the tongue, ready?) price-sensitive, heterogeneous industries. What I mean by that is, it’s hard to set a performance standard that works for glass, pulp and paper, steel, chemicals, and so forth. So in those realms, setting a price is a nice way to handle it. 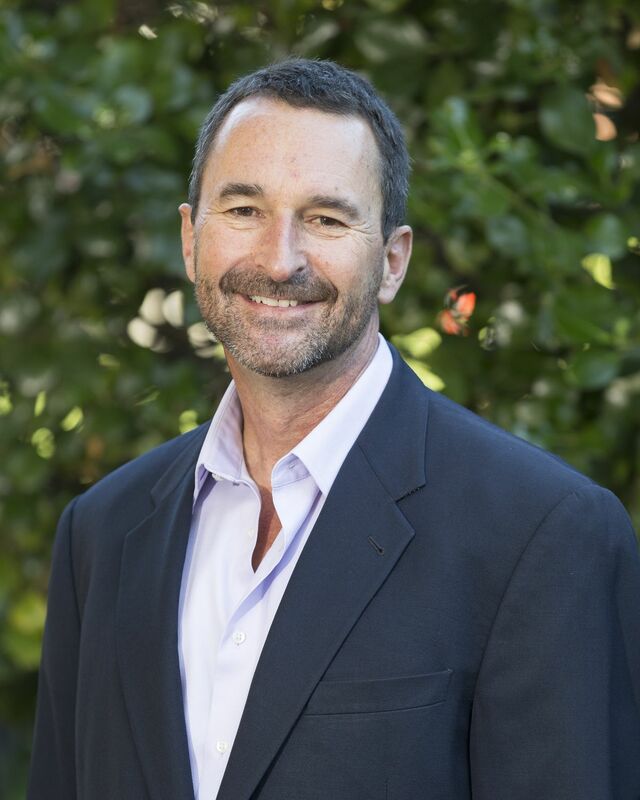 Then businesses can simply internalize the costs and make better decisions. 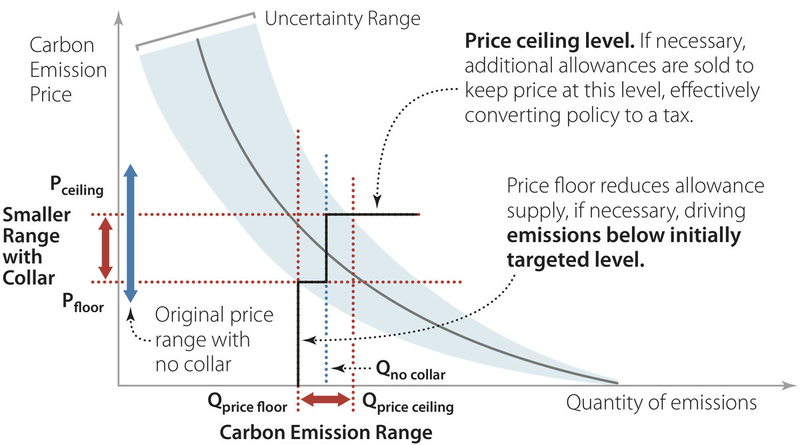 Here’s where [a price on carbon] doesn’t work. It doesn’t work in buildings, at all. The people who design and build buildings never pay the utility bills, and in much of America, people who own the buildings don’t pay the bills either. So the poor renter is stuck with a leaky building, but has no ability to put capital into the building and fix it, or to get it right in the first place. The only policy that’s ever worked at scale in buildings is a strong building code. 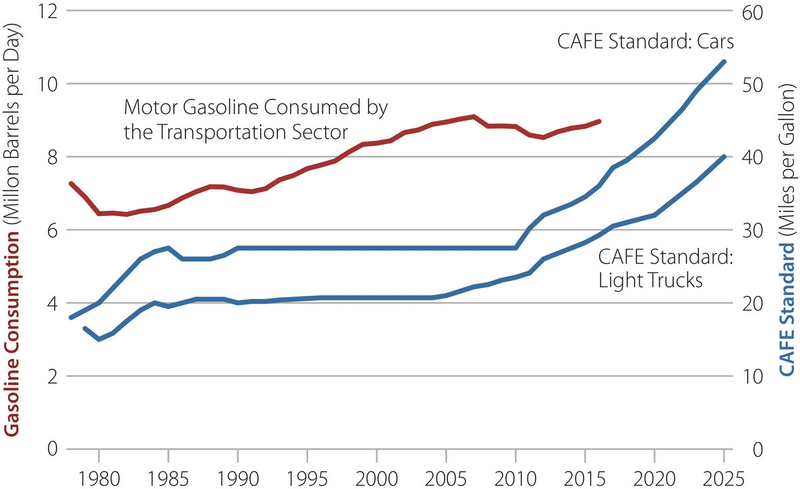 It doesn’t do much in transportation, because fuel is a relatively small part of driving a vehicle, and the more efficient the vehicle, the less the fuel price matters. For proof of this, look at the European Union, where [fuel] taxes are [the equivalent of] over 400 dollars a ton [of carbon]. They still need a fuel efficiency standard to get fuel efficiency where it needs to go — even at 400 bucks a ton, which I don’t think we’re talking about on the US Senate floor these days. The policies that work and how much they contribute. Tell me about the hybrid carbon pricing system you describe in the book. You try to capture the best parts of a cap-and-trade system and a tax. The debate between a carbon tax and a carbon cap has to be one of the sillier ways to waste electrical energy. Dude, you got off easy. There are some poor souls at RFF who are still wracking their brains against this one. For most reasonable ranges of either, they’re the same. What you’re worried about with the carbon cap is the price might be really high or really low. If it’s really high, it’ll cause economic shock, if it’s really low, it won’t do anything. But the answer to that is to put a price floor and a price ceiling on those permits, as we do in California. If the price is too low, you just don’t auction off as many. And if it’s too high, you just release more permits, because you really don’t want to tank the economy as part of your climate solution. Same with the carbon tax. You can adjust it too, if you want. If you put in a 10-dollar carbon tax and you discover it has no effect on anything except cement production, then you can raise it up a little bit. Then it’s looking more and more like a cap. By putting reasonable boundaries on either of these systems, they start to look a lot alike; they start to behave a lot alike. I was a little surprised by the prominent role of the industrial sector in emission reductions. There are about 10 industries that dominate energy consumption in industry. They’re the ones you’d expect: steel, concrete, pulp and paper, chemicals, non-ferrous metals, fertilizers, and so forth. What you have to do is think hard about how to get each of these quite different businesses, with different constraints and opportunities, on to a decarbonizing path. As I said, the best policy with them is a significant, steadily rising, long-term carbon price — whether it’s a cap or a tax. That will induce them to see what they can electrify. There are cements, for example, that are half the carbon or less of normal cement. And cement is 5 percent of global carbon — it’s a big number. But it’s not easy to break into that business. It’s very low-margin and it’s got a lot of sunk capital costs. So without a pretty serious price signal, you’re not going to get there. 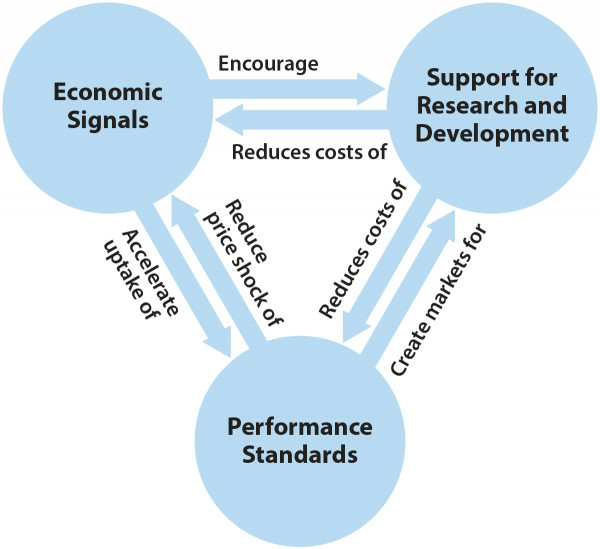 There are some things you can do with performance standards, but fundamentally pricing is what matters — plus serious R&D. It’s a different kind of R&D than America likes to do. Our R&D ever since World War II has focused on fundamental truths: the meaning of life; what’s inside a quark; stuff like that. We don’t really have that many institutions that focus on new ways to run a mini-mill for steel. Or new chemical reactions that require a lot less energy and have a lot less waste. Or ways to use waste heat from industry. The Germans have a really interesting set of institutions called the Fraunhofer Institutes. There are 70 of them — one for every problem you can think about. Their job is exactly to figure out this kind of thing. I think it would behoove America to think more about that part of learning, which I call the engineering part of the learning curve. You’re doing really gritty work. It’s not theoretical stuff. It’s not breakthrough stuff either, but it’s where we have to go with industry. Cement production is no joke! Your modeling does not include any carbon sequestration through 2050. You frame it as a post-2050 technology. How did you come to that conclusion? What’s the role of negative emissions in the big picture? This gets back to an absolutely fundamental strategic question that everybody who cares about this stuff needs to ask at the beginning, which is: What policies or technologies are going to get the most tons [of carbon reductions] the fastest? That’s the carbon imperative. If you delay, if you don’t do the really big stuff now, then your future has to be unfathomably heroic. In fact, even if you had free negative emissions that were infinite, you might not solve the problem, because we’re going to spin some natural systems into an unrecoverable runaway. We defrost the tundra and it releases soil carbon and methane. Or the melting lubricates more melting, and so forth. If you start with this fundamental strategic question — most tons fastest — then you realize that carbon sequestration is perhaps something you should think about [with regard to] path dependency, but as a major focus today, while we’re not rapidly shutting down every coal plant and every natural gas facility, not converting the auto fleet, not launching building codes … it’s crazy. It really is an abnegation of responsibility to focus on the last five percent while you ignore the first 95 percent. That doesn’t mean you shouldn’t do R&D. We argue for R&D. We need more options in the future. But the logic — that, well, all the IPCC scenarios show that we have to go negative, therefore that’s where we’re gonna put our attention — completely misapprehends the nature of carbon math. Let me add one more thing to that. Right now, solar is coming in at negative dollars per ton, because it’s cheaper than what it is replacing, and it offers benefits, in the form of electricity. Then you contrast it with carbon capture, which is coming in at hundreds of dollars per ton and offers no benefits. 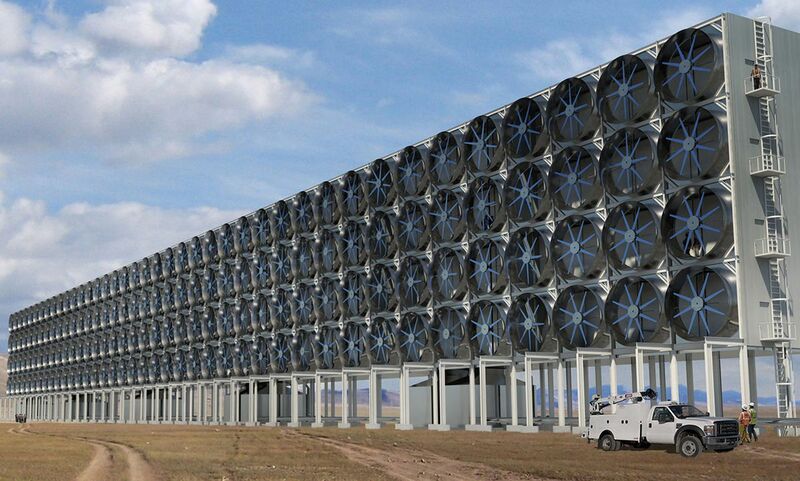 It’s a pure tax on society to build these direct-air capture machines, or grow a bunch of biomass and build a bunch of gas pipelines and pump everything underground. If you have one technology that is always gonna be dead weight on the economy, and the other one levitates the economy, and one’s not available, and one is available … what the hell. Carbon sucking machines: maybe not the top priority? The book also has nothing about behavior change — no turning off lights or going vegetarian. Do you find that lever unrealistic? We have limited political bandwidth. If you’re serious about change, you have to identify the decision makers that can innovate the most tons the fastest. Then you have to a develop a strategy to influence them. There are 7.5 billion decision makers on diet. There are 250 utility commissioners in America — and utility commissioners control half the carbon in America. If you made everybody do meatless Mondays or taco-free Tuesdays or whatever’s next, you’re still nibbling away at less than 1 percent, unless you can get billions of people to do it. What can cities do on carbon? This is gonna make me more enemies, but … cities have almost no power over carbon. Some cities have building codes tougher than the state’s, but that’s rare. They control traffic patterns, kinda, but since we have so many municipalities, it tends to be a metropolitan planning organization within the state agency that does that. Well … what about zoning? You can do an urban growth boundary, but that’s a state policy. You could do mixed-use zoning. That’s a great idea. I gotta say, the urban mobility piece of your little dot graph seems sadly small to me. That’s a huge element in an aborning country, like China, or the big cities in Africa, or the Middle East. In a mature economy, with all the infrastructure in place, the time constants are just slower. I’m still completely in favor of it: urban growth boundaries, really functional mass transit, bike lanes, mixed use. And that is emphatically city or regional policy. Paul Hawken’s Drawdown Project looked at options for reducing greenhouse gases and found that educating girls and family planning were the two most potent. When I was at the Hewlett Foundation, we sponsored a study by the National Center for Atmospheric Research that asked the question: Globally, if you met unmet need for contraceptives — that is to say, no coercion whatsoever — what would it cost and what would the carbon impact be? We found large-scale abatement at less than a dollar a ton. So I’m completely in favor of that. Here’s the thing about the Drawdown book: It’s a technology book, not a policy book. And it’s geographically indifferent — it doesn’t say you have to do this in the top 20 countries, or anywhere. It doesn’t mention policy, it doesn’t mention geography — and without those two things, it’s not a plan. I think it’s a good contribution to the world, but it doesn’t tell anyone what to do on Monday morning. And that’s your book. The Monday-morning book. David Roberts writes about energy and climate change for Vox. This article appeared here on November 19 at Vox.